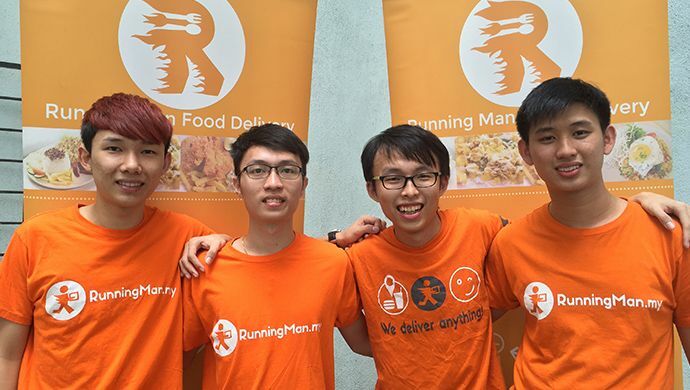 Reaching their targeted amount of RM175K (approximately US$40K) within 24 hours of their pitchIN Equity Crowdfunding, public attention has been centred on a Malaysian logistics startup company known as RunningMan. A platform that offers instant delivery services, RunningMan caters the needs of those that wish to save a trip to their nearby shops or restaurants as with RunningMan riders stationed at strategic points within the coverage area, deliveries are able to be made within an hour. The startup though launched in May 2015, was however already in play during founders Andrew Chee and Tan Wei Yong’s university days. The idea was Initially borne out of their intention to generate sufficient income to cover student expenses and cater the needs of hungry but busy students in the university. And as the idea continue to grow and show potential, they decided to nurture it. Making history with their pitchIN Equity Crowdfunding held on August 22nd which has raised funds worth US$40K led by Nexea Angels, BizAngel Network, and WTF Accelerator. “We are very happy to see that investors believe in us. We may be a young team but we have proven with our results that we have the potential to become a leading player in the on-demand economy,” said Andrew Chee, the Founder and CEO of RunningMan. Despite moving from food deliveries to full last-mile logistic services or with its user base expanding from 200 to 7000, RunningMan continues to deliver results. To date, they have achieved an averaged 20% monthly growth without going into the red. RunningMan serves as an e-commerce platform which allows users to connect to shops located within their vicinity. The application facilitates instant delivery service whereby users can pick their desired products and have runners deliver them straight to the user’s doorstep. The RunningMan delivery team has sent various items ranging from food and groceries to cooking gas and pet supplies as per requested, all typically sent within an hour.